Remember how I kept bragging about the 1 pound bags of Meyer lemons I kept scoring for $1.50 at my local Kroger? I made this baked oatmeal on a Sunday morning to enjoy reheated all week long. Does the photo below not look like the perfect Sunday morning? A healthy, fiber-rich, antioxidant-packed breakfast with a stack of cooking magazines to thumb through and savory the moment…and every bite. Ahhhh. Weekends. When Monday morning rolled around, I went about my usual morning routine. I packed my lunch…and my breakfast to-go. I got to work, caught up with emails and ventured to the kitchen to reheat my leftover Meyer Lemon Blueberry Baked Oatmeal for breakfast. One of my coworkers was sitting down eating breakfast and as I proudly and very excitedly pulled my oatmeal from the fridge, I popped off the lid of the tupperware to show-off my breakfast. Within a split second, my beautiful breakfast had slipped out of my grip and…SPLAT! It was all over the kitchen floor at work. If I’m being perfectly honest, I considered the 5-second rule. But given that I work in a dialysis clinic and we work with all sorts of body fluids, I quickly decided that was not an option. I pouted. My co-worker laughed. Eventually, I joined in with a laugh. I grabbed a cup of coffee in hopes of subduing my hunger until an early lunch, but come 10am, I was growling. The only thing to save me was a slice of cold pizza that was leftover from a meeting the Friday prior. Preheat the oven to 375 degrees. Spray an 8-inch square baking dish with nonstick spray. Zest lemon; set zest aside. In a bowl, combine milk and juice from the zested lemon to make “buttermilk”. In a medium bowl, combine the oats, baking powder, salt, spices, and lemon zest. In a small bowl, whisk together the “buttermilk”, butter, egg, and sugar. Spoon half of the oat mixture into the baking dish, and then half of the blueberries. 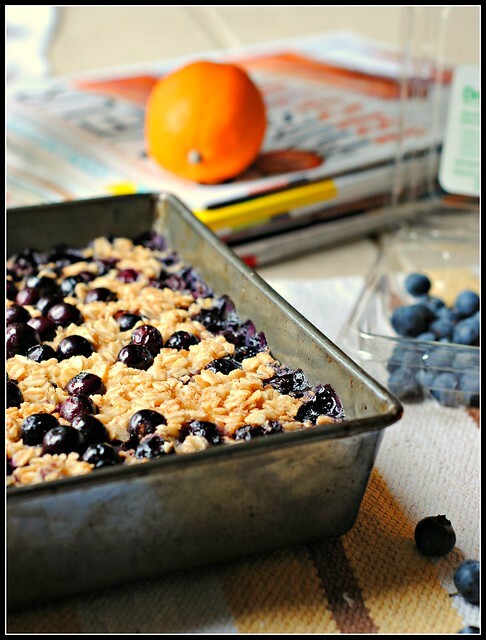 Add the remaining oat mixture and scatter the remaining blueberries on to the top, pressing them in slightly. Pour in the milk mixture and place in oven. Bake for 35 to 45 minutes, or until the mixture is a light golden brown along the edges, and the center has set up. Result: Filling, packed with fiber, and rich in antioxidants! This is simple to make and reheats great for weekday breakfasts. Enjoy! No joke, I WOULD have cried! This sounds amazing. Can you believe I don’t think I’ve ever had a meyer lemon?? I know they taste different than regular ones, only because I’ve read it on your blog AND Paul Qui mentioned them yesterday (I thought of you, by the way). Ok, so Friday the 15th, we’re on! @Gina: Wait, do you know Paul Qui, the Top Chef?? I am definitely a proponent of the 5 second rule in most situations, especially since my grandmother lived with us as a child and kept our floors immaculate. Oooh, I’m so jealous! I loved him on Top Chef. And he is totally adorable. I had a minor crush. As someone who plans my breakfast well beforehand, I love baked oatmeal. This looks absolutely fabulous and will definitely be made tonight for my breakfast the rest of the week. I love to reheat it and add a splash of milk before eating. Thanks for a great recipe! I definitely would have cried if this fell all over the floor. At least you got to have the original! It looks delicious. 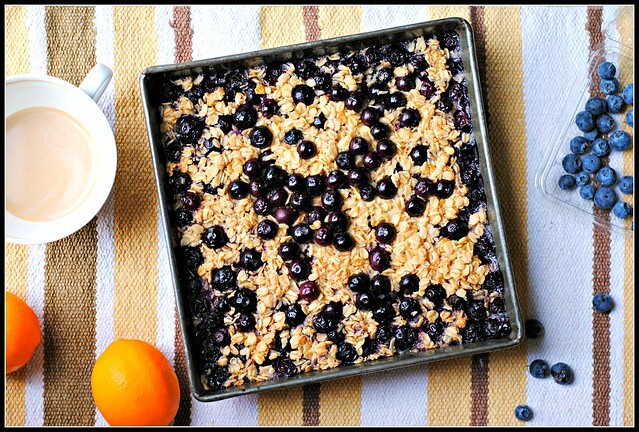 Next time blueberries go on sale, definitely making this! Sorry that it fell – I’ve had that happen too – one time with a bowl of ramen noodles – I tripped and noodles went flying all over my cubicle that I shared with three other people – it took me 45 minutes to clean it up! Happy Monday – I am sure these next two weeks are going to fly! 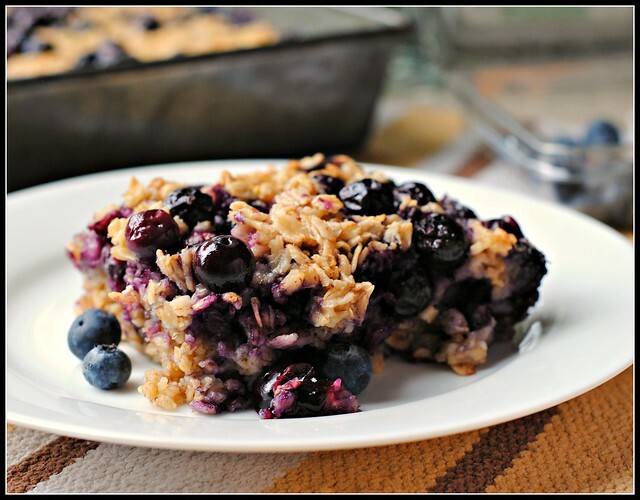 The baked oatmeal looks amazing! I love the lemon/blueberry combo of flavors. I am very fortunate to have a Meyer Lemon tree in my backyard. Believe it or not, our lemons yield anywhere from 1/2-1 cup of juice – they are the size of grapefruit! Could you give the approximate amount of juice you use in your recipe? Karen: I’m so jealous!!!!!!! I would say the yield was about 1/4 cup per lemon. I have definitely used the 5 second rule on more than one occasion….haha! This oatmeal looks like the perfect summertime meal! I’m so sorry for your (lemon) loss! Spilling food is so heartbreaking, especially when it’s something you’re so excited about. I would have been devastated. This looks delicious! Any ideas for modifying it so it doesn’t require the oven? I know, that defeats the purpose of a BAKED oatmeal, but with temps already in the upper 90s and low 100s where I live, I’m trying to avoid turning on the oven at all costs. Hmmm!! The grill might be a fun try! You could also try over the stove. It would be a completely different consistency, but not in a bad way! 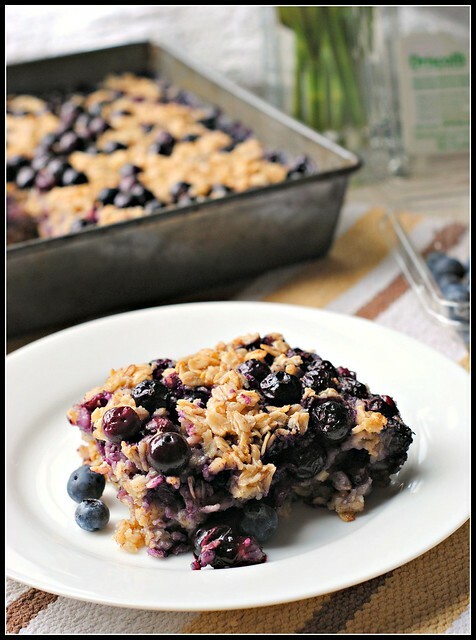 Love the giant bites of blueberry in this recipe!! Loving this oatmeal Nicole ~ the meyer lemon is a great idea! OMG, this sounds incredibly delish. thanks for sharing it. Hoep you’re having a great week ahead. Oh my goodness, this looks and sounds absolutely delicious! Do you think it could be prepared the night before, and then put in the oven to bake the next morning? I’m always looking for different breakfasts I can make for my husband without having to get up so early in order to have it ready on time. Thanks for the great idea! I want to try this on the weekend. I’ve made a few baked oatmeals before, but I think this one will be a keeper. Too bad about the oatmeal on the floor – I bet your lunchroom smelled wonderful though! Bakkah: Dairy free should work great! 🙂 Enjoy! Mmm, I’ve been loving baked oatmeal recently and yours looks delicious! I’ve never considered putting blueberries inside, what a great idea. Can’t wait to try this recipe! This was really wonderful Nicole. The blueberries are a burst of sweetness. 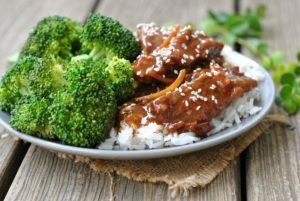 I made half a recipe, and I’m really glad I did – the full size portions must be huge! For anyone else who might halve the recipe… it made 4 completely full ramekins, baking for 20-25 minutes. Thanks for a great breakfast! I am trying this with blueberries, a regular lemon, and peaches. I doubled the fruit, but nothing else since I usually half topping ingredients in cobblers and such. It is in the oven right now. Will let you know how it turns out. Smells awesome. Found you through Pinterest. Hi Beth! Sounds delicious! 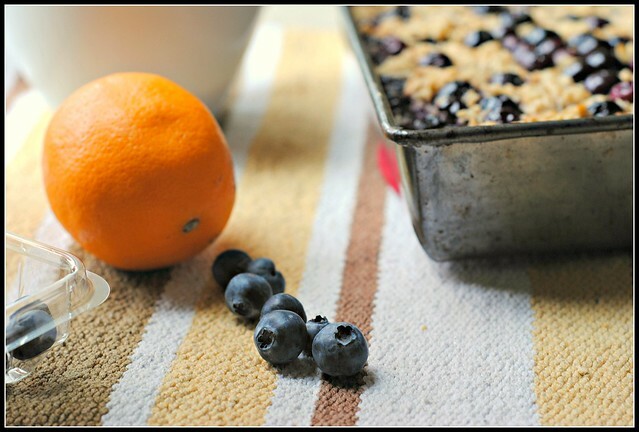 Baked oatmeal is so adaptable – I’m sure it’ll turn out great! Thanks for your sweet note 🙂 Hope you find some other recipes you love! Just wondering if you have added anything like walnuts or maybe some bananas to the oatmeal? My his and is I obessed with McDonalds Blueberry Banana Walnut oatmeal and I am trying to find something like it to make him. Something healthier and cheaper. Jessica: You could definitely add in banana and/or walnuts – yep! I tried your baked oatmeal recipe today and my 2 kids and I enjoyed it. I changed the recipe a little to make it vegan and sugar free. I made this baked oatmeal this morning, but tripled it for my 14 guys. They loved it. I loved it. And it’s gluten-free, which my son needs. Thanks for sharing your recipe and your story! OK – so I was so excited for this. I pulled out my ingredients and was disappointed that I had just a smidgen of old fashioned oats. However, I did have steel cut. So – I knew I had to give more moist for less oats. I used 1 c steel cuts oats for the same 2 c of milk. I also added about 1/4 c of flour to give it some structure. I also knew, just my preference, I didn’t want too many berries so I cut that back to 1 c. It turned out amazing!! Kind of like your bowl of oatmeal met a dish of cobbler. The flavor was out of this world. Thanks for sharing!! This is the best baked oatmeal we’ve ever made. So, so delicious!!! Thank you for sharing. We liked it so much that we included it in our favorite recipes list. Hi Elizabeth! I’m sure it’ll be delish! 🙂 Enjoy!! LOOKS super good! can I put something else in it instead of sugar? You can certainly try splenda or stevia but no promises on the results! Whoa! This was great. My 6yo made it with me before bed, so that it’d be microwave-ready for an early breakfast the next morning. It was a hit. Even my oatmeal-hatin’ 5yo son gobbled down two servings! This sounded so good and I had a lemon that needed to be used and some frozen mixed berries. Unfortunately I was short on the amount of oatmeal. Added farina to make up the difference. It worked, although not quite as wonderful as it would have been without. I saw your recipe on pinterest and tried it this morning at work, for my colleagues. I’m not sure where I went wrong but it turned out like dried porridge and nothing like the delicious granola type oatmeal in your picture! I doubled the recipe and I used porridge oats, I don’t know if these are different than old fashioned rolled oats. Can you shed any light on my disaster? Oh no! Roseann, I believe porridge oats are steel cut oats. They’re VERY different from old fashioned. I feel pretty confident that if you tried this again with the correct oats, you’d love it 🙂 I’m sorry! Yum!, could I substitute a cup of almond meal for oat flour / oats? Thank you! These look great! Almond meal in place of some oats? Kathleen, you could certainly try…not sure it would work super well, though. I am not find of blueberries, what could I use instead???? Apple, pear, any frozen fruit (I used frozen blueberries this morning). Great recipe! The lemon and blueberry are delicious together! I made a slight variation by adding a sliced banana across the bottom of the pan and reducing the sugar to 1/4 cup. 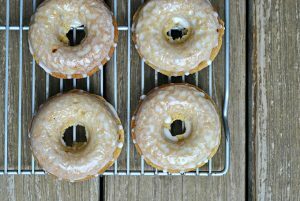 Next time I might try using brown sugar or molasses for a slightly different flavor. i made this recipe this evening. Added some fresh raspberries as well. So tasty! I like it because it’s not too sweet. Will be sharing with a couple of besties @ work tomorrow. Thanks for sharing the recipe. I agree! Glad you enjoyed, Leslie! A follow-up to an earlier comment I made: Tonight is the third time in 3 weeks I’ve made this recipe. I just love it. Perfect for workday breakfasts. Keeps you feeling satisfied until lunch time. A gem of a recipe. Thanks again!